The Emir of Kano, Muhammadu Sanusi, on Wednesday criticized conservative northern leaders who discourage attitudes and activities that, he said, would have developed the region. The emir spoke while delivering the keynote speech at KADINVEST 2.0, an event organized by the Kaduna Sate Government to encourage investments. 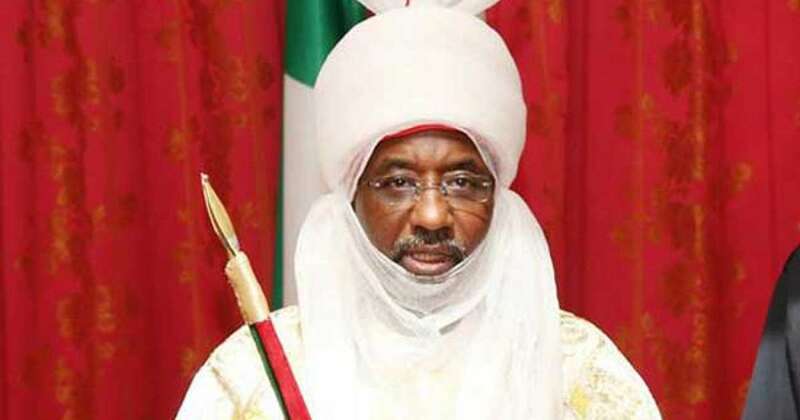 Mr. Sanusi criticised the ultra-conservative interpretation of Islam in some parts of Northern Nigeria that has discouraged girl-child education, family planning and other progressive policies. “I’m sad that Kano has lost it, but I’m happy that Kaduna is getting it,” he said. Mr. Sanusi also criticised Governor Abdulaziz Yari of Zamfara for his statement on Tuesday that the meningitis outbreak in his state and others was God’s punishment for peoples’ sins. “If you don’t have vaccines, you don’t have vaccines; Go and get vaccines,” the emir said. Zamfara and other states have been battling with insufficient vaccines to prevent the spread of the disease. On Tuesday, the Secretary to the Zamfara State Government, Abdullahi Shinkafi, said the state government, which required three million dosages of meningitis vaccines, only got 300,000 from the federal government.